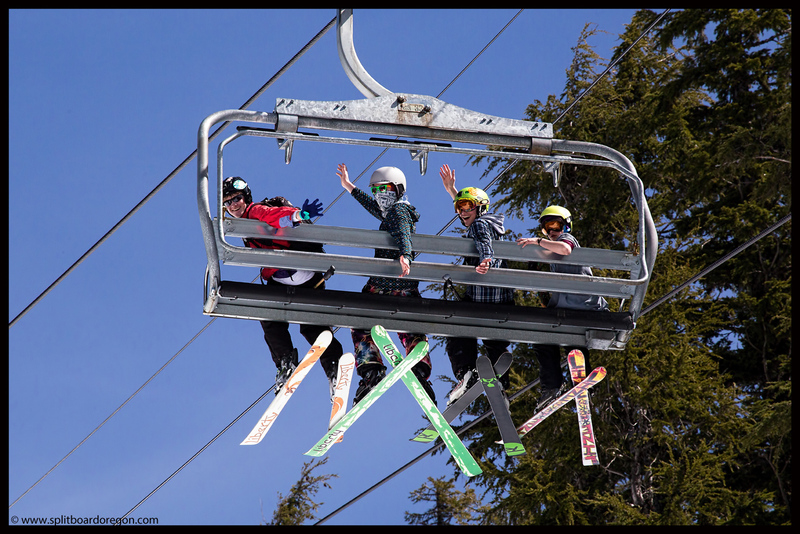 Beautiful sunny days have been the norm this March in the Oregon Cascades, and the past two weekends at Willamette Pass were no exception. 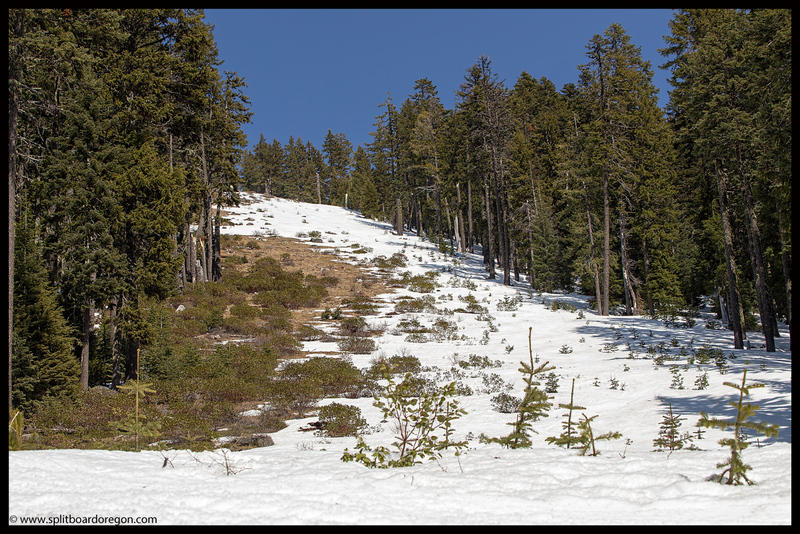 Even though the snowpack is dwindling, it’s been nice to get out for some fresh air, Vitamin D and corn turns. 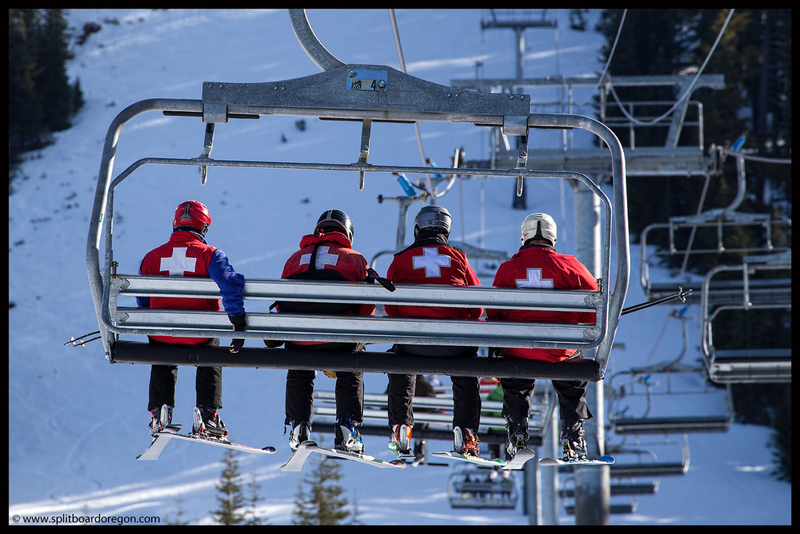 I was on patrol on Saturday the 15th and Sunday the 23rd, and both days were nearly identical, with blue skies, hardpack in the morning, followed by fun soft turns in the afternoon. After our morning meeting on Saturday, I was anxious to get out and help open the mountain, and to try out my new toy – a Canon EF 70-300 mm f/4-5.6 L lens I’d picked up the week prior. Being a telephoto zoom, it allows much more reach than my other two Canon lenses. 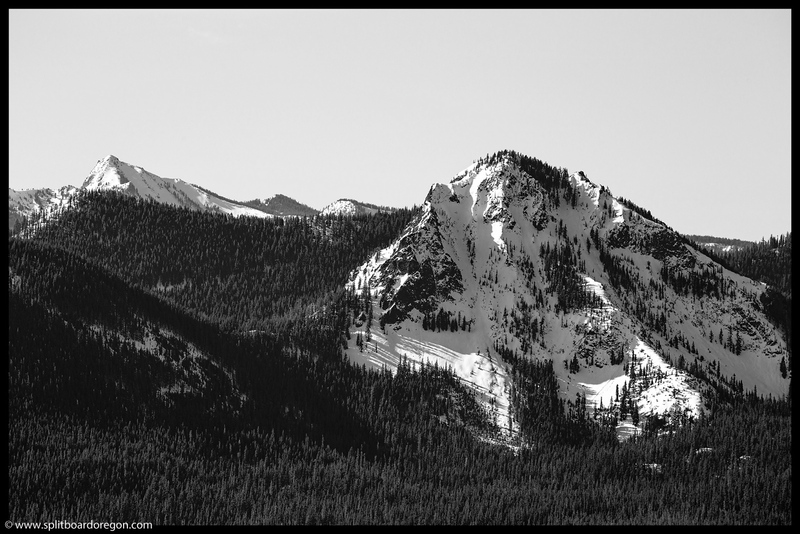 Stepping off the EPA lift, my first subject was Diamond Peak basking in the morning sunlight…..
After the mountain was open, I headed over to RTS with Raleigh to check things out, which turned out to be a poor decision. The run had been skied late in the day on Friday, and was a frozen mass of large blocks of snow from pin wheels and ski tracks. At least the lower half was decent. Catching the lift back to the top, I snapped a few pics of several patrollers ahead of us…..
A few moments later, several birds landed on the pavers at the top of the EPA terminal and decided to hang out with me for a bit. 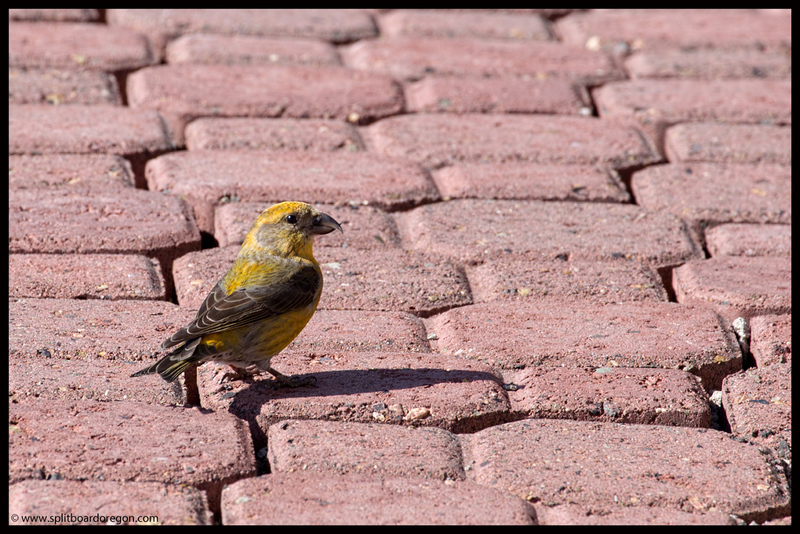 There were probably seven or eight of them, all brightly colored, and they seemed to be feeding on something in the cracks of the pavers. Around 11:30, I headed in for lunch, making a run down Eagle’s Flight, which was just starting to corn. Lunch consisted of a pulled pork sandwich, fresh off the grill at the patrol shack. 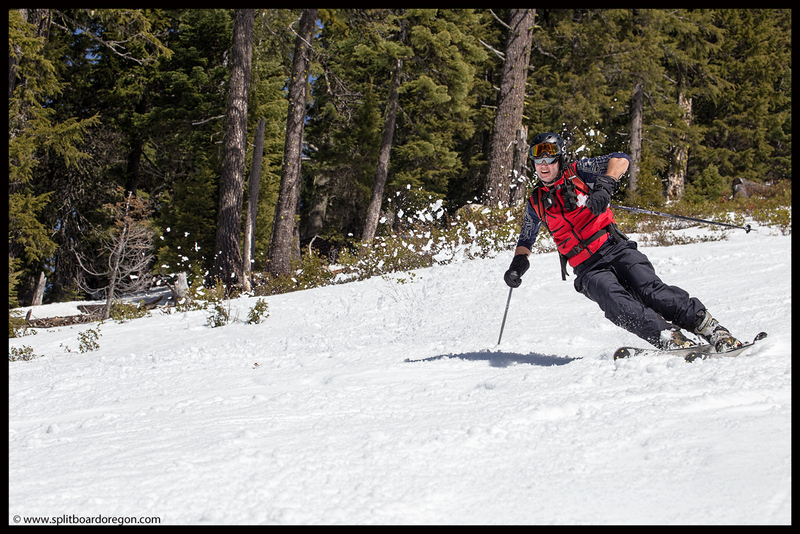 After enjoying my food in the sun, I headed back out for what would be some of the best corn skiing of the year. 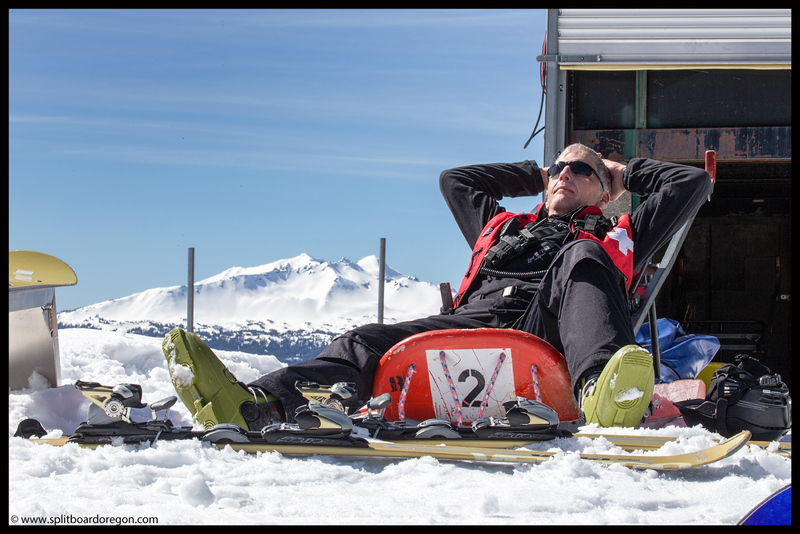 Arriving at the top of the EPA, I found Peter on bump, lounging in the sled with Diamond Peak as a backdrop…. By early afternooon, Success was perfect corn, bump free and in really good shape. I made several runs with Raleigh and Brian, pulling out the camera to snap some photos. As suspected, my new lens made it easy to zoom in tight enough to get some really good action shots. 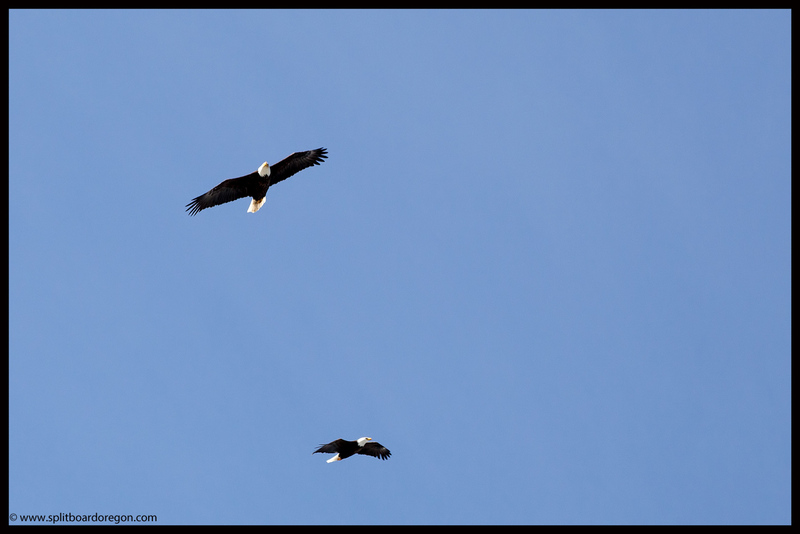 In between shooting Raleigh and Brian, I snapped a couple pics of Jack and Sam on the lift above us as well…..
On one of the lift rides back to the top of Eagle Peak, we looked up and spotted 5 bald eagles soaring above. It’s not unusual to see one, maybe two eagles near the top of the Pass in the spring, but I don’t believe I’ve ever seen 5 at once. These birds are awesome to watch, and so beautiful and majestic. I tried to get a pic of all 5 in one frame, but was unsuccessful in doing so. I did manage to get a couple though…. The remainder of the day was spent running laps on the frontside until Peak 2 sweep at 3:30. The evening meeting went quickly, and I was enjoying an Oakshire Expresso Stout in the patrol room to end the day at 4:45. The following Sunday (the 23rd) was nearly a repeat of the previous Saturday, except for a couple of things. RTS was scary icy – I opened it to start the day and it was puckering. I’m pretty sure it didn’t get skied the rest of the day until sweep. And, there weren’t any eagles at the Pass like the weekend before. 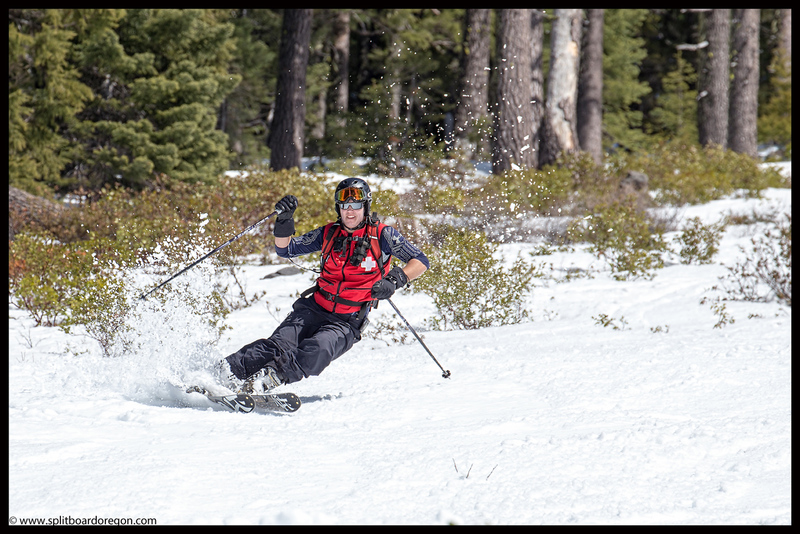 The other difference was that By George was nearly unskiable at the bottom, with only a swath on skier’s left that was a few feet wide. Like the previous weekend though, the snow in the afternoon was as good as it had been all season, and I think it may have been my best corn day of the year. 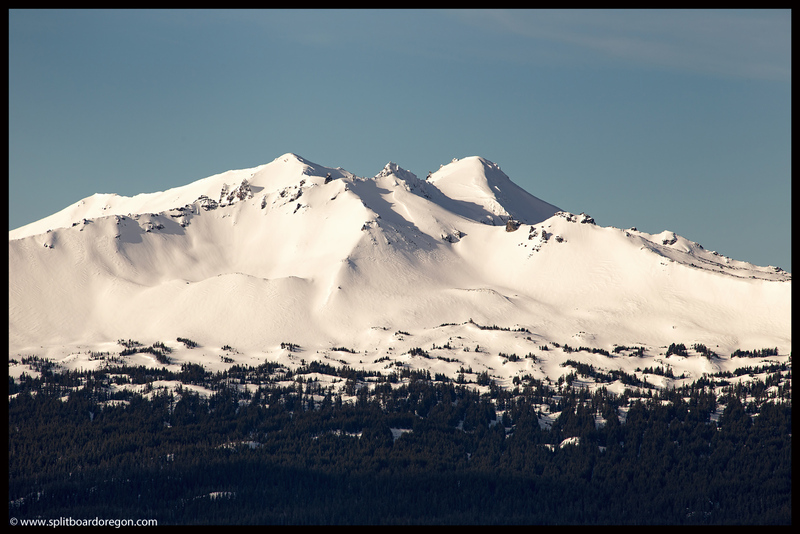 The backside had superb coverage, but I especially enjoyed skiing High Lead and Timburr, which reminded me of spring corn skiing on the volcanoes below treeline until the snow runs out. Even though the coverage was minimal, especially on Timburr, I think that’s part of what makes it so fun.